A special 20th anniversary edition of EVITA on blu-ray is set to be released in Italy on December 13 by CG Entertainment. You can pre-order on Amazon Italy. We need your help to move our site to an expensive and super fast server. 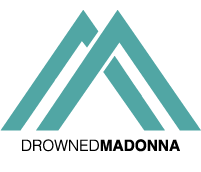 Please, send what you can to [email protected] on www.PayPal.com, or just enter www.PayPal.me/drownedmadonna. Cyndi Lauper: "Madonna was a hero for me."